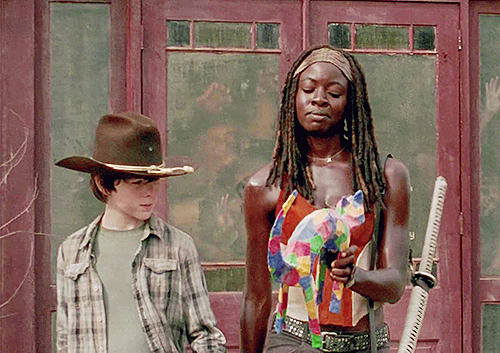 And the last skein from MadColor's Claimed, a Walking Dead club...Too Damn Gorgeous...I couldn't figure out the inspiration, but then someone reminded me of this.. So that's it...pretty short and sweet...I have plans right now of heading to VogueKnitting Live in NYC on the 17th...I'm sure I'll do some stash enhancing...but I'm going to try to keep it to a miniumu..
Yeah...good luck with that! Easier said than done?! Good luck with that ;) And have fun at Vogue knitting live! 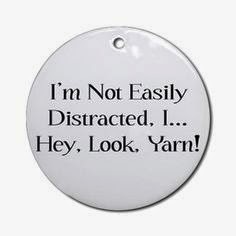 That sounds like a fun adventure and I love the button...I have crazily decided to knit from stash exclusively. We shall see how long it lasts!